Most of us that have caught an Uber or Lyft will know how surge pricing can help increase the driver’s earnings. But have you ever thought of how the times that events end, traffic reports, flight arrivals, weather, etc. can all help increase their earnings for drivers? Pittsburgh based Gridwise is an app that Uber, Via, and Lyft drivers to get to get live updates on events ending, traffic reports, flight arrives, weather, etc. Anything that can help increase their earnings. The team at Gridwise are working diligently every day to solve the inefficiencies that exist for drivers. Due to the lack of transparency in ride-hailing, drivers end up chasing surges, waste time trying to bounce between multiple resourceful apps, converse between numerous platforms not designed for drivers, or end up just driving around aimlessly. As a result, drivers become inefficient. In any business, people use data to make more informed decisions. Whether it be part-time or full-time, driving is a business lacking the data needed to make more informed decisions. Our mission is to increase the transparency and performance of drivers to create a better driving experience in the ride-hailing economy. 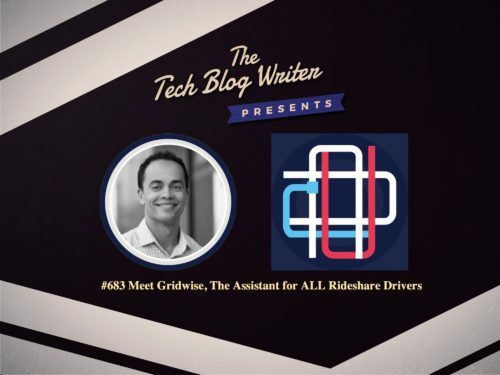 As drivers, the team at Gridwise understand the pains of rideshare driving and how to address them. Besides helping the drivers, they have a ton of industry data around hot pickup spots, surcharging, etc. After reading a recent report focused on earnings in rush hour), I invited Ryan Green, the CEO, and Co-Founder of Gridwise onto the show. Ryan’s experience spans across entrepreneurship, finance, and the military. Outside of building companies, Ryan spends time discovering hole-in-the-wall restaurants, time with wife and son, listening to audiobooks, and networking. He lives life by the quote: “The Man in the Arena.“ We discuss how the mobile platform that increases rideshare drivers earnings 39% by helping them know when and where to drive.